(OPride) – Over the last decade, Ethiopia has been hailed as the fastest growing non-oil economies in Africa, maintaining a double-digit annual economic growth rate. The Ethiopian government says the country will join the middle-income bracket by 2025. Despite this, however, as indicated by a recent Oxford University report, some 90 percent of Ethiopians still live in poverty, second only after Niger from 104 countries measured by the Oxford Multidimensional Poverty Index. 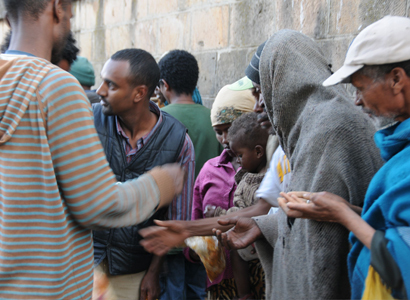 The most recent data shows an estimated 71.1 percent of Ethiopia’s population lives in severe poverty. This is baffling: how can such conflicting claims be made about the same country? The main source of this inconsistent story is the existence of crony businesses and the government’s inflated growth figures. While several multinational corporations are now eyeing Ethiopia’s cheap labor market, two main crony conglomerates dominate the country’s economy. The seeds of Ethiopia’s economic mismanagement were sown at the very outset. We are familiar with rich people organizing themselves, entering politics and protecting their group interests. But something that defies our knowledge of interactions between politics and business happened in 1991 when the current regime took power. Ethiopia’s ruling party, the EPRDF, came to power by ousting the communist regime in a dramatic coup. A handful of extremely poor people organized themselves exceptionally well that they quickly took control of the country’s entire political and military machinery. In a way, this is analogous to a gang of thieves becoming brutally efficient at organizing themselves to the extent of forming a government. Once in power, the ruling Tigrean elites expropriated properties from other businesses, looted national assets and began creating wealth exclusively for themselves. This plan first manifested itself in the form of party affiliated business conglomerate known as the Endowment Fund for Rehabilitation of Tigray (EFFORT). EFFORT has its origin in the relief and rehabilitation arm of the Tigrean People Liberation Front (TPLF) and the country’s infamous 1984 famine. 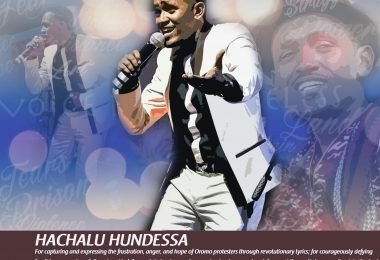 Intoxicated by its military victory, the TPLF then turned to building a business empire. EFFORT epitomizes that unholy marriage between business and politics in a way not seen before in Ethiopian history. According to a research by Sarah Vaughan and Mesfin Gebremichael, EFFORT, which is led by senior TPLF officials, currently owns 16 companies across various sectors of the economy. This figure grossly understates the number of EPRDF affiliated companies. For example, the above list does not include the real money-spinners that EFFORT owns: Wegagen Bank, Africa Insurance, Mega Publishing, Walta Information Center and the Fana Broadcasting Corporate. The number of companies under EFFORT is estimated to be more than 66 business entities. Suffice to say, EFFORT controls the commanding heights of the Ethiopian economy. While it is no secret that EFFORT is owned by and run exclusively to benefit ethnic Tigrean elites, it is a misnomer to still retain the phrase “rehabilitation of Tigray.” Perhaps it should instead be renamed as the Endowment Fund for Rendering Tigrean Supremacy (EFFORTS). In Ethiopia’s weak domestic private environment, EFFORT is an exception to the rule. Similarly, while Ethiopia suffers from lack of foreign direct investment, MIDROC Ethiopia enjoys unparalleled access to Ethiopia’s key economic sectors. Owned by Ethiopian-born Saudi business tycoon, Sheik Mohammed Al Amoudi, MIDROC has been used by the EPRDF as a joker card in a mutually advantageous ways. The Sheik was given a privilege no less than the status of a domestic private investor but the EPRDF can also count it as a foreign investor. For instance, the United Nations Conference on Trade and Development reported that about 60 per cent of the overall FDI approved in Ethiopia was related to MIDROC. MIDROC stands for Mohammed International DevelopmentResearch and Organization Companies. Despite reference to development and research in its name, however, there is no real relationship between what the crony business says and what it actually does. Ironically, as with EFFORT, MIDROC Ethiopia also owns 16 companies. But this too is a gross underestimation given the vast sphere of influence and wealth MIDROC commands in that country. Like EFFORT, Al-Amoudi’s future was also sealed long before the TPLF took power. 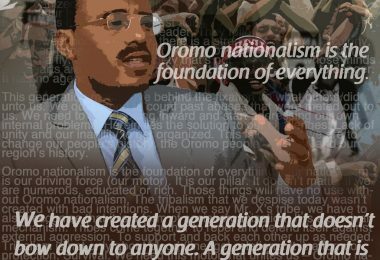 He literally entered Addis Ababa with the EPRDF army, fixing his eyes firmly on Oromia’s natural resources. Shortly after the TPLF took the capital, Al-Amoudi allegedly donated a huge sum of money to the Oromo People’s Democratic Organization. In this precarious world-historic moment, food has become the most valuable asset of them all — and a billionaire from Ethiopia named Mohammed Hussein Al Amoudi is getting his hands on as much of it as possible, flying it over the heads of his starving countrymen, and selling the treasure to Saudi Arabia. Last year, Al Amoudi, whom most Ethiopians call the Sheikh, exported a million tons of rice, about seventy pounds for every Saudi citizen. The scene of the great grain robbery was Gambella, a bog the size of Belgium in Ethiopia’s southwest whose rivers feed the Nile. It is little wonder then that Al-Amoudi said, “I lost my right hand,” when Ethiopia’s strongman of two decades Meles Zenawi died in 2012. If EFFORT is a curse to the Ethiopian economy, MIRDOC is EPRDF’s poisoned drink given to the Ethiopian people. The marriage between politics and business has had damaging effects on the country’s economy. One of its most far-reaching consequences is the total breakdown of trust between the EPRDF and the Ethiopian people. In economic policy, trust between private investors and the government is paramount. The deficit of trust is one of the hallmarks of Ethiopia’s much-touted development. After all youth unemployment hovers around 50 percent. Every year, hundreds of young Ethiopians risk their lives trying to reach Europe or the Middle East, often walking across the Sahara desert or paying smugglers to cross the Red Sea or Indian Ocean aboard crowded boats. The desperation is a result of the lack of confidence in the government’s ability to provide them with the kind of future they were promised. Ironically, aside from their crony businesses, the EPRDF does not have any confidence in Ethiopian entrepreneurs either. It is this mutual distrust that culminated in the prevalence of an extremely hostile environment for domestic private investment. This is not a speculative claim but a well-documented fact. The World Bank’s annual survey, which measures the ease with which private investors can do business, ranks Ethiopia near the bottom. In the 2014 survey, Ethiopia came in 166th out of 189 countries in terms of difficulties in starting new business or trading across borders. Moreover, year on year comparison shows that the investment climate in Ethiopia is actually getting worse, sliding down the ranking both in the ease of doing business and trading across borders. The TPLF cronies do not engage in competitive business according to market rules but act as predators bent on killing existing and emerging businesses owned by non-Tigrean nationals. However, the ruling party, which largely maintains its grip on power using bilateral and multilateral aid, is required to report its economic progress to donors (the regime does not care about accountability to the people). In this regard, the lack of foreign direct investment (FDI) has been a thorn in the throat of the EPRDF. Donors have repeatedly questioned and pressured the EPRDF to attract more FDI. The inflow of FDI is often seen as a good indicator of the confidence in countries stability and sound governance. Despite widespread belief in the West, the EPRDF regime cannot deliver on these two fronts. To cover up these blind spots, the regime has persuaded a handful of foreigners to invest in Ethiopia, but until recently few investors considered any serious manufacturing venture in the country. Besides, considered “cash cows” for the government, banks, the Ethiopian Airlines, telecommunication and energy sectors remain under exclusive monopoly of the state. They provide almost free service to the crony businesses. Any firm looking to invest in manufacturing and financial sectors have to overcome insurmountable bureaucratic red tape and other barriers. One sector that stands as exception to this rule is agriculture. Since the 2008 financial crisis and the rise in the global price of food, the regime opened the door widely for foreigners who wanted to acquire large-scale farms. These farms do not hurt their crony businesses but they do harm poor subsistence farmers. Vast tracts of lands have been sold to foreigners at ridiculously cheap prices, often displacing locals and their way of life. Contrary to the government rhetoric, the motivation for opening up the agricultural sector has nothing to do with economic growth but everything to do with politics – to silence critics, particularly in the donor community who persistently question EPRDF’s credibility in attracting FDI. In essence, hundreds of thousands of poor farmers were evicted to make way for flower growers and shore up the government’s image abroad. This tactic seems to be working so far. Earlier this year, Ethiopia received its first credit rating from Moody’s Investors Service. In the last few years, in part due to rising labor costs in China and East Asia, several manufacturers have relocated to Ethiopia. Crony businesses and flower growers may have created some heat but certainly no light in Ethiopian economy. EFFORT and MIDROC were in action for much of the 1990s and early 2000s but GDP growth was not satisfactory during that time. In fact, since other private businesses were in dismal conditions (and hence domestic market size is very limited), even the crony businesses encountered challenges in getting new business deals. The setbacks in political front during the 2005 election shifted EPRDF’s strategies to economic front to urgently register some noticeable growth. This partly explains the motives behind the ongoing construction rush in and around Addis Ababa. In several rounds of interviews on ESAT TV, former Minister d’etat of Communications Affairs, Ermias Legesse, provided interesting accounts of cronyism surrounding Addis’ explosive growth and its tragic consequences for Oromo farmers. It is important to understand the types of construction that is taking place around or near Addis. First, private property developments by crony estate agents mushroomed overnight. A lion’s share of land expropriated from Oromo farmers were allocated to these regime affiliates through dishonest bids. Luxury houses are built on such sites and sold at prices no average Ethiopian could afford, except maybe those in the diaspora. The latter group is being targeted lately due to shortages of hard currencies. Second, EPRDF politicians and high ranking military officers own multi-storey office buildings, particularly aimed at renting to NGOs and residential villas for foreign diplomats who can afford to pay a few thousand dollars per month. It is a known fact that the monthly salary cap for Ethiopian civil servants is around 6000 birr (about $300). As such, that these individuals could invest in such expensive properties underscores the extent of the daylight robbery that is taking place in Ethiopia. Third, the government was engaged in massive public housing construction but under extremely chaotic circumstances. The condominium rush in Addis is akin to the Dergue regime’s villagization schemes in rural Ethiopia. Families are uprooted from their homes without any due consideration for their social and economic well-being. Most households that once occupied the demolished homes in Addis Ababa’s shantytowns made a living through informal home businesses such as brewing local drinks and preparing and selling food at prices affordable to the poor. It was clear that the condominiums were not suitable for them to continue doing such businesses. The construction of the public houses was financed by soft loans from various donor agencies to be sold to target households at affordable prices. However, the government often priced them at the going market rates for condos. As a result, the poor households simply rented out the properties to those who could afford, while struggling to find affordable houses for themselves. Solving the public housing crisis was never the government’s intention in the first place, as they were only interested in creating business opportunities for their crony construction companies. Fourth, roads and railway networks are by far the most important large-scale public sector construction projects taking place in Addis. There is no doubt that Addis Ababa’s crowded roads, equally shared by humans, animals and cars, need revamping. But, what is happening in the name of building roads and railways simply defies belief. First, the sheer scale and magnitude as well as the obsession with construction makes the whole undertaking look suspicious. Every time I travelled to Addis, I witness the same roads being constructed and then dug up to be reconstructed over and over again. The ulterior motive behind these projects is nothing more than expanding TPLF’s business empire and benefit crony allies. Having exhausted opportunities within the existing perimeter of Addis, the so-called master plan had to be crafted to enlarge the size of “the construction site” by a factor of 20 to ensure that the cronies will stay in business in the foreseeable future. In effect, the large-scale construction projects are being used to siphon off public funds. And there seems to be no priority or accountability in the whole process from the project inception, planning to implementation. The construction boom in Addis serves as a two edged sward. On the one hand, the funds generated from selling Oromo lands to private property developers adds to the ever-expanding business empire of Tigrean political and military elites. On the other hand, the appearances of several high-rise buildings and complex road networks give the impression that Ethiopia is witnessing an economic boom. The target audience for the latter scenario is foreign journalists and the diplomatic community in Addis Ababa, some of whom are so gullible that they fall in love with ERDF’s economic “miracle” from the first aerial view even before landing at the Bole airport. The fact remains however: no such economic miracle is actually happening in Ethiopia. A pile of concrete slabs cannot transform the economy in any meaningful way. After all, buildings and roads are only intermediaries for doing other businesses. For instance, it is not enough to build highways and rural roads – a proportionate effort is required to enhance production of goods and services to move them on the newly built roads in such a way that the roads will get utilized and investments made on them get recovered. Otherwise, the roads and buildings can deteriorate without giving any service, and hence more public money would soon be required to maintain them. This is exactly what is happening in Ethiopia. Meanwhile, the EPRDF has been engaged in a frantic effort to generate lies and damn lies to fill the gap between the rhetoric and the reality of Ethiopia’s economy. The government-controlled media has been used for extensive propaganda campaign to create a “positive image” in the eyes of ordinary citizens. They literally compel viewers or listeners to see or feel things that do not exist on the ground. The Ethiopian television zooms onto any spot of land with a colony of green grass or lush crop fields to “prove” the kinds of wonders the government is engineering. Barring rain failures, much of Ethiopia’s lush-green countryside has a decent climate for agriculture. 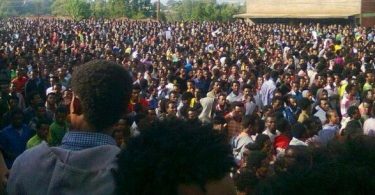 But the EPRDF regime tries to convince the public that anything positive that occurs in the Ethiopia is because of its economic policies. But, as evidenced in ongoing multifaceted grievances around the country, the government is fooling no one else but itself (and perhaps a few gullible individuals in the diplomatic community). Its lies also come in the form of dubious economic statistics, which are generated in such a way that EPRDF could report double-digit economic growth year after year. The story of the double digit economic growth rate in Ethiopia has been such that a lie told hundreds of times, no matter how shambolic the numbers are, is becoming part of the western vernacular. Donors often point to the abundance of high-rise buildings and impressive road networks in Addis Ababa in regime’s defense. In a brief conversation, it is not possible to take such casual observers through details of the kind I have attempted to narrate in the preceding paragraphs. And, unfortunately for millions of Ethiopia’s poor, in the short run the government’s lies and crony capitalism may continue to ravage the country’s economy until it begins to combust from within. *The writer, J. Bonsa, is a researcher-based in Asia. Photo courtesy of Addis Food Not Bombs – Ethiopia. J. Bonsa is a researcher based in Asia. 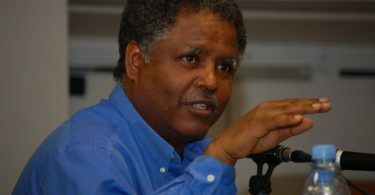 He is a frequent analyst on Ethiopia's political economy. Stop giving money to Africa. Im sick and tired of these people ruining generous people donor money.